In the United States, April 15th is Tax Day. It's a time when we're crunching numbers and doing all of the paperwork that goes along with it. If you're anything like me, numbers make your head spin, but in crafting, they can be a whole lot of fun! Today we are going to celebrate numbers with a fun little countdown to kick off the weekend. Get ready for some cuteness — number-style. 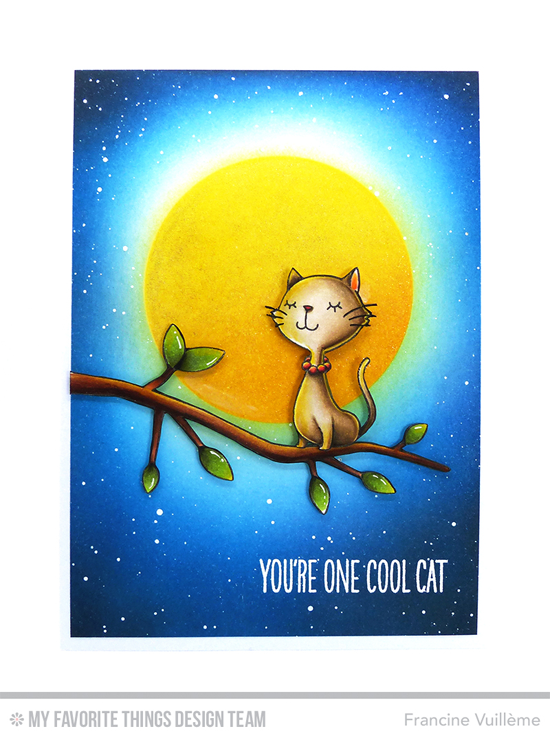 Francine features one fancy feline on her card using the Cool Cat and I'm Tweet on You stamp sets. The result? Fantastic! 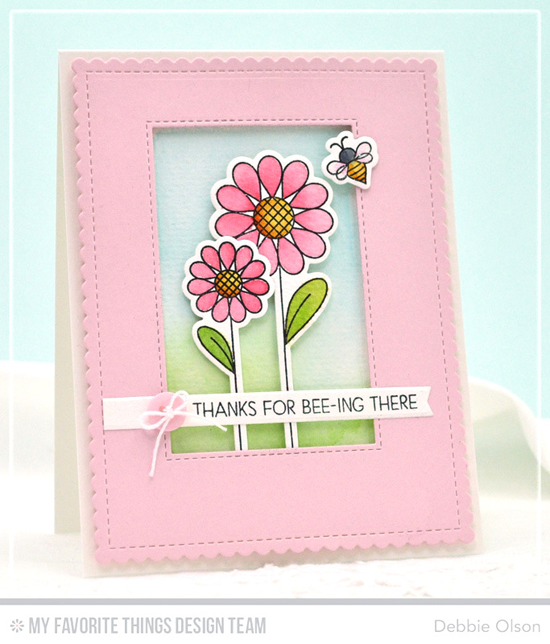 Debbie makes a lovely design with two pretty pink flowers using the Fly-by Friends stamp set and Die-namics. It's picture perfect. 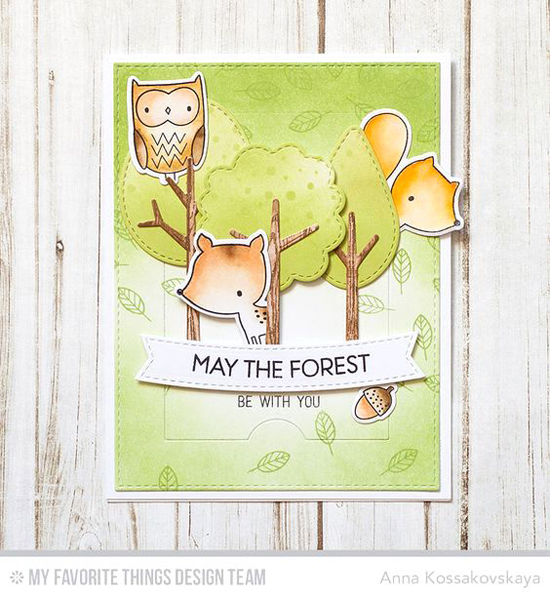 Three woodland creatures from the Forest Friends stamp set frolic on Anna's whimsical design. May the forest be with them! Four adorable puppies from the Lucky Dog stamp set are out on the town on a gorgeous starry night designed by Melania. I wonder which dashing doggie will win the heart of the fabulous poodle? 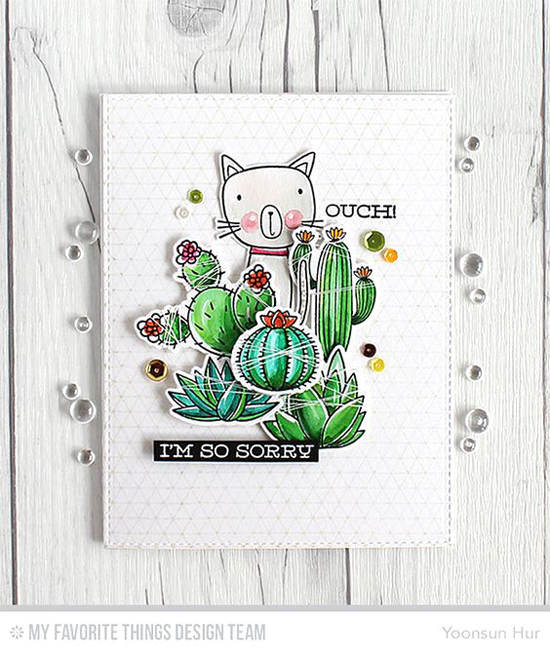 One melancholy kitty from the Cat-itude stamp set is surrounded by five prickly cacti from the Sweet Succulents stamp set to convey her apologies. If I received this card from Yoonsun, all would be forgiven! 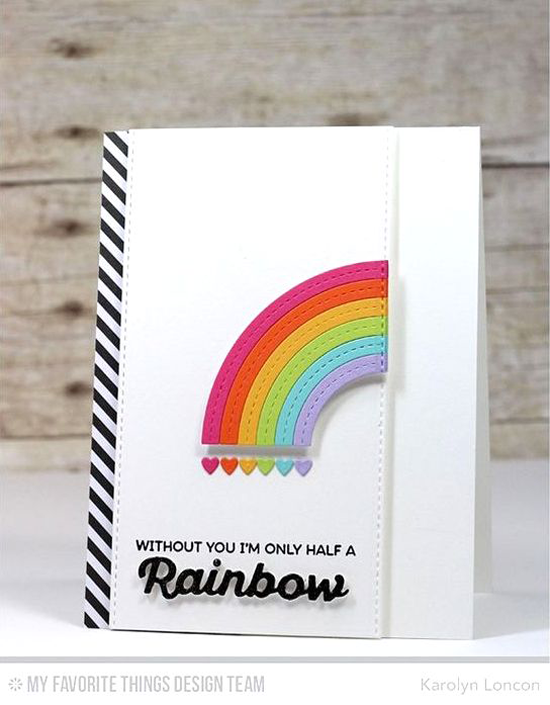 Karolyn dreams up a half-rainbow in six vibrant shades with darling hearts at the end. What a fun use of the Stitched Rainbow and Color the Rainbow Die-namics! Seven office supplies from the Get Down to Business stamp set and Die-namics make for a pretty nifty birthday card for a guy in your life. Barbara means business with this masculine design. 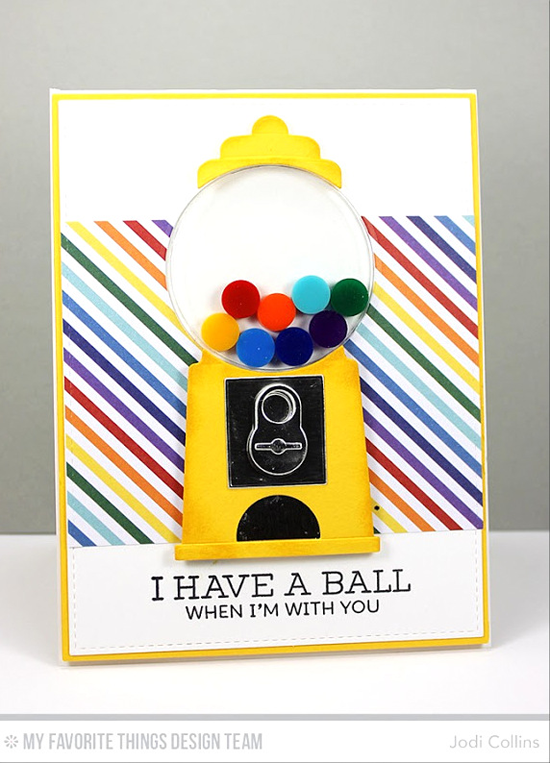 Eight delicious and colorful gumballs from the Gumball Greetings stamp set and Die-namics are just waiting to be chewed. Jodi's design is the sweetest! Amy features nine cute kitties from the Cool Cat stamp set to go along with the nine lives sentiment. Just imagine the purrs coming from this card! If you look carefully, you'll find ten smily faces on this clever design from Yoonsun using the Lucky stamp set. 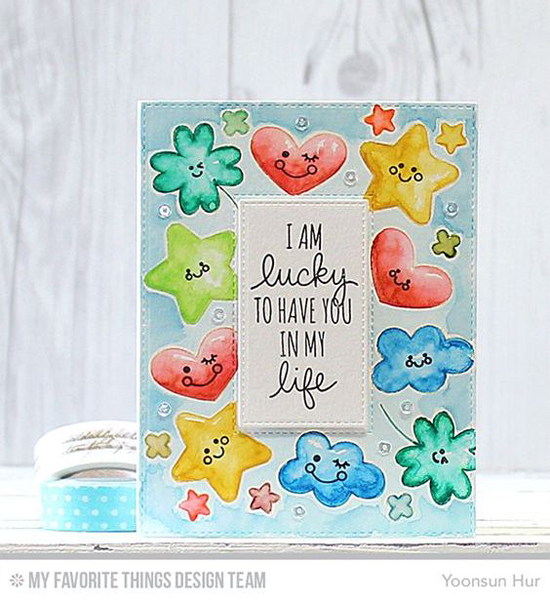 The recipient of this card will be lucky, indeed! 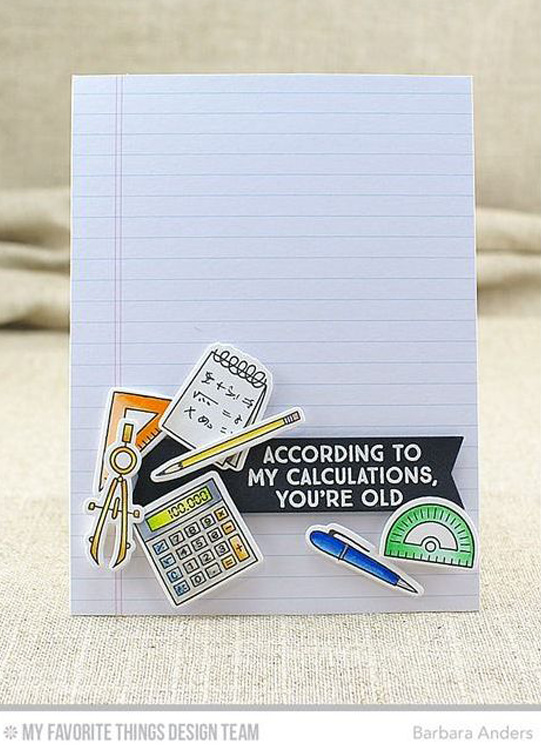 Before you go, take a look at a few of the fun products we carry that can help you use numbers in your crafting. You can buy them at the My Favorite Things online store! Simply click on the photo to be taken directly to the product. If the product is currently out of stock, you can sign up for an email notification once it's back in stock! 1-10 has their own awesomeness.. What an amazing team MFT has! These are SO cool! Love your DT and products!! Super cute idea. Love the cards!